Clean, wash then chop all the greens. In a pressure cooker or a pan add all the greens, salt, tomatoes, onion, garlic, ginger, red chili powder, green chili, asafoetida, mix it well add 2 cup water, cover and cook till done. Dry roast the maize flour lightly . Pour the cooked greens, maize flour and 1/2 cup water (if required) coarsely blend. 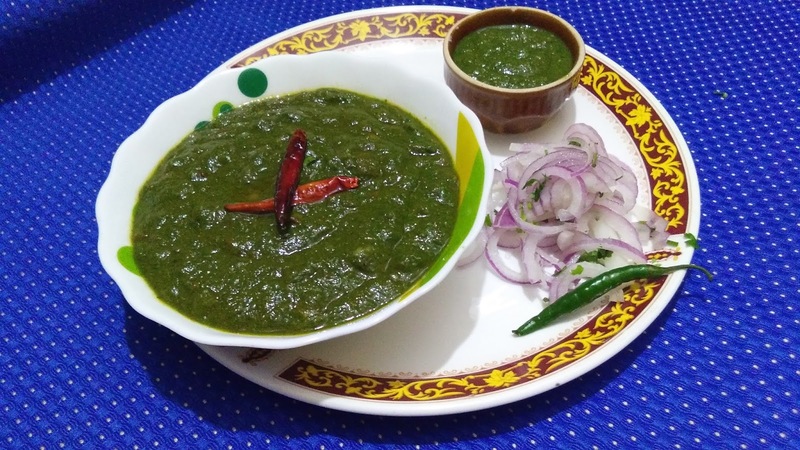 Heat ghee in a pan add onion fry until golden add broken red chili, add to the prepared saag, give it to a nice stir and simmer 2-3 minutes. 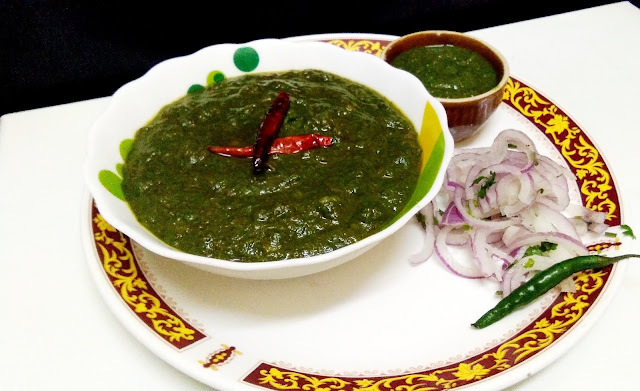 Serve hot with makki ki roti, salad and green chutney .